Addictions Advisor: Peer-Based Recovery Support Specialists — Is a New Direction Needed? Peer-based recovery support specialists (P-BRSS) have a long and abiding history in the fields of mental health and addiction. As far back as the late 1700s when Jean-Baptiste Pussin, a hospital administrator, established a more humane treatment of patients in a mental hospital, "peers" have participated in the stabilization and long-term recovery of patients in treatment. Recovery mutual aid societies, as they were known, span the 18th and 19th centuries. In the 1750s, "sobriety circles" were formed in Native American tribes across the country in the tradition of "wounded healers." Native American tribal leaders believed that recovery from a devastating illness was a sign of a healer; tribe members who had survived their own battles with alcohol led the sober circles and called for a return to tribal values (Doff, 2015). Six people with alcohol use disorders who had the idea that by relying on each other and creating an atmosphere of conviviality they could keep each other alcohol-free founded the Washingtonian Temperance Society of the 1840s. Most famous of all were Bill Wilson and Dr. Bob Smith, the founders of Alcoholics Anonymous, an organization that is solely peer based. 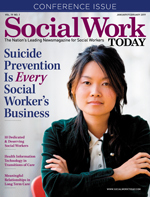 The inclusion of peers in the workforce began in the late 1980s under various titles; most common was "paraprofessionals," acting as halfway house managers, alcohol counselors, residential aides, outreach workers, and case managers. Today, P-BRSS are increasingly integrated into treatment centers, inpatient and outpatient programs, and the justice system. What is changing in the peer role is the "professionalization" of a previously informal presence and the development of a nationalization of a peer workforce. A wide range of definitions are found for peers. According to the Substance Abuse and Mental Health Services Administration, "[Peers] help people become and stay engaged in the recovery process. … Peer support services can effectively extend the reach of treatment beyond the clinical setting into the everyday environment of those seeking a successful, sustained recovery process." "Peer-based recovery support is the process of giving and receiving nonprofessional, nonclinical assistance … provided by people who are experientially credentialed to assist others in initiating recovery, maintaining recovery, and enhancing the quality of personal and family life in long-term recovery" (White, 2009). The P-BRSS field is becoming more legitimized through advanced certification, inclusion in reimbursement processes, including Medicaid, and states' oversight. What was once a recovering person speaking with another about their "lived experience" is beginning to take on a different look and feel. Peers have brought much value to the treatment field because of the "power of mutual identification" found in a reciprocal relationship (White). In addition, the roles that peers play with regard to encouraging autonomy, self-determination, and empowerment are juxtaposed with what has become a highly specialized field in a time of constrained managed care. William L. White, MA, is a prolific writer of numerous topics pertaining to recovery; in addition to several book publications, he maintains the William White papers website (www.williamwhitepapers.com) and is a regular contributor to Faces & Voices of Recovery. His publication "Peer-Based Addiction Recovery Support" is a comprehensive manual on the topic and serves as a primary resource for the P-BRSS field. The balancing act between professionalization and autonomy is a delicate one. Ensuring that peers are trained, and knowing how and when to offer emotional, informational, and affiliation support while maintaining self-governance and moral independence can mean the difference between success and failure. Brandee Izquierdo, MPA, CPRS, RPS, director of advocacy and outreach at Faces & Voices of Recovery, is well versed in this juxtaposition. She is an advocate for P-BRSS in the justice environment with formidable expertise on the subject. While there is a need for nationalizing the field, she "[doesn't] see that happening. Each state is autonomous and what may work in Maryland may not work in California." Discussing the complexity, she says, "Each state approaches services differently; some have peers integrated into clinical delivery of services, [while] others keep them separated. Some states have merged mental health and substance use," which would require a peer to be versed in both. As Izquierdo points out, "There is a vast difference between peer-based delivery of services and those of a clinician. An LCSW bills one hour of time. But peers can be on call and accessible 24/7. An LCSW may indicate in a treatment plan, 'Get your driver's license,' but it's the peer who goes with them to the DMV and guides them through the process." State agencies are hard pressed to set aside funds for peers who work around the clock, much less obtain billable Medicaid hours. The concept is too new. As Izquierdo says, "How do you bill for someone just waiting in line at the DMV with a client?" In the case of recovery communities, such as recovery houses, few to none are set up for Medicaid reimbursements, much less state oversight. The costs are too high, and the restrictions too great. Jim Gross, director of Meridians Recovery, a grassroots organization offering P-BRSS services in northern Virginia, has been the owner and operator of a recovery house for eight years. His clients are those who have exhausted all other resources—alcohol- and/or opioid-dependent individuals who have gone through the gamut of treatment. What they find at Meridians Recovery is a bare bones environment with more than ample recovery support. "We give them real-life help," Gross says, "from financial education to getting a job, from making sure they get to meetings two or three times a day, to eating right. This is hands-on." Gross may be on the opposite spectrum from Izquierdo's views. When asked what dangers he perceived for the larger peer recovery system becoming "professionalized," Gross says, "You can't paperwork it to death with state oversight, Medicaid reimbursement, insurance coding. If you do, you disarm the whole point of peers: one person in recovery helping another." From a research perspective, there is a significant amount of literature on P-BRSS; however, empirical studies are few. The literature reviewed consisted of mega-analyses of database materials, which were then filtered to fit criteria of examination. In one case 1,221 studies were analyzed for inclusion into predetermined criteria and resulted in only nine studies being examined (Bassuk, Hanson, Greene, Richard, & Laudet, 2016). Empirical research is limited. Kelly (2017) reflects that while compelling theoretical cases have been made for P-BRSS, there have been "three randomized controlled trials, two quasi-experiments, one single-group prospective and one single-group retrospective study, and four cross-sectional investigations conducted on this topic" since 1998. Research literature needs to include "stronger and more detailed descriptions of the peer role" and until this is achieved, "it will remain difficult to make comparisons across studies and generalizations about findings" (Bassuk et al, 2016). The research challenge is that currently, there is no "peer performance measure." That lies somewhere in the future. P-BRSS are entering an era that requires increased education, credentialing, and professionalization. The original intention for integrating peers was to increase "humanity and kindness" to formerly inhumane treatment of persons with mental health or substance use problems (Davidson, 2015). As White points out to his readers, peer models of recovery "can also be corrupted and devoured by larger systems of care." The juxtaposition of a peer relationship in a professional arena presents challenges that have yet to be solved. Peers bring their experience, strength, and hope to others with genuineness, compassion, and connection. Individualized, and personal, peers are hard pressed to fit into the constraints of professional edicts when their authenticity is the very thing that gives them credibility with clients. Peers are becoming more prevalent in the recovery field, and how they integrate into the larger professional domain will depend largely on how they define their role. — Kimberley L. Berlin, LCSW, CSAC, SAP, is an integrated addiction specialist. Her private practice, Compassionate Beginnings, LLC, is located in Leesburg, VA.
Bassuk, E. L., Hanson, J., Greene, R. N., Richard, M., Laudet, A. (2016). Peer-delivered recovery support services for addictions in the United States: A systematic review. Journal of Substance Abuse Treatment, 63, 1-9. Davidson, L. (2015). History of the peer support movement [PDF document]. Retrieved from https://na4ps.files.wordpress.com/2015/03/history-of-peer-support-davidson-webinar-19.pdf. Doff, J. (2015, May 19). Native American sobriety circles. The Fix. Retrieved from https://www.thefix.com/content/native-american-sobriety-circles. Kelly, J. F. (2017). Report of findings from a systematic review of the scientific literature on recovery support services in the United States. Substance Abuse and Mental Health Services Administration. White, W. L. (2009). Peer-based addiction recovery support: History, theory, practice, and scientific evaluation. Retrieved from http://www.williamwhitepapers.com/pr/2009Peer-BasedRecoverySupportServices.pdf.